A new photography show for my 81Bees group will start in June at the Calumet Gallery. Will post more info later regarding that show. For now I'm trying to decide which of two images to use. The show is called "Balls" and that's our theme. 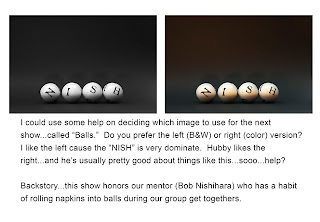 Balls because our mentor Bob Nishihara has a habit of rolling napkins into balls during our get togethers. 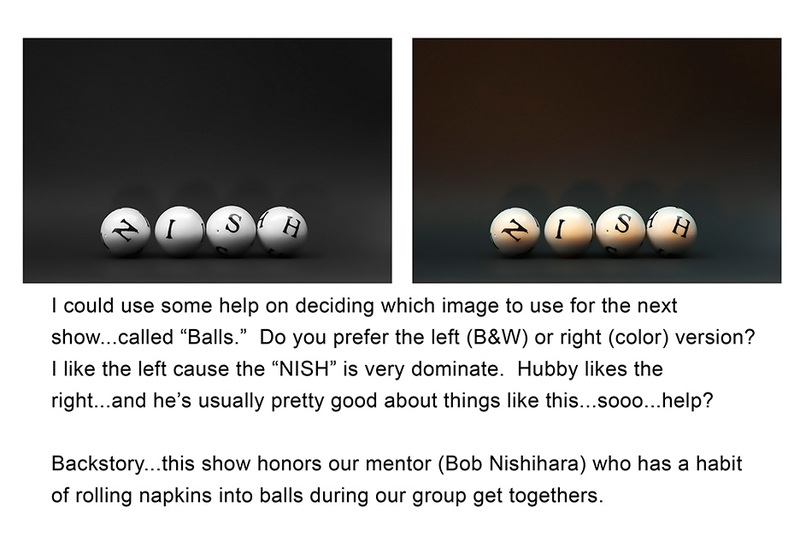 So...here's to you Nish!